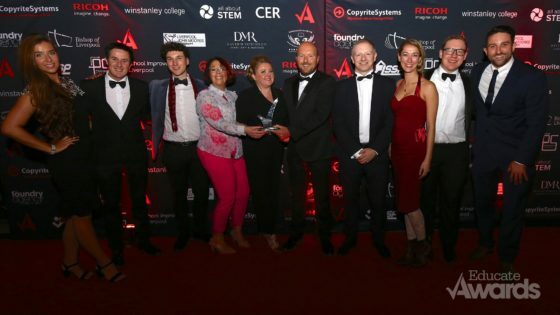 Educate Awards 2018: Beamont Collegiate Academy win All About STEM, STEM Project of the Year! WOW! What a sensational night! 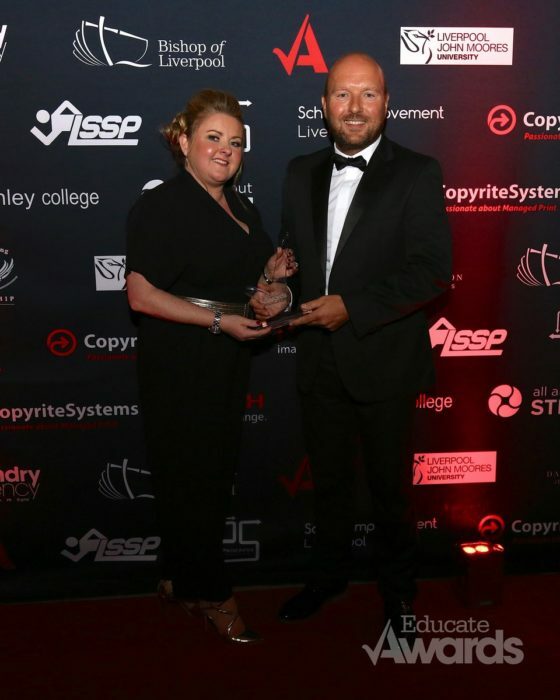 All About STEM were proud to be returning sponsor of the STEM Project of the Year Award at the 2018 Educate Awards and absolutely overjoyed to present our amazing accolade to Beamont Collegiate Academy! 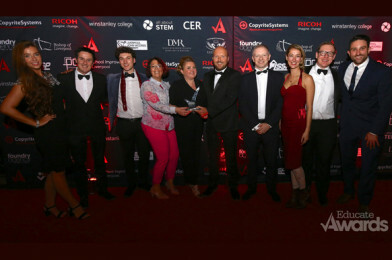 The academy was recognised for its unique project with United Utilities, a 16 week STEM based project focused on multi-disciplinary real world problems experienced within the North West by the country’s leading water supplier. The real-life experience has hugely benefitted students, allowing them to be involved in a creative project which will help them in their future careers. “A great achievement for all involved and a brilliant collaborative effort with United Utilities.” – Beamont Collegiate Academy. Sandbach High School & Rudston Primary school were both shortlisted for the award with Sandbach receiving runner-up. Sandbach High has a hugely successful after-school STEM club for key stage 3, 4 and 5 students. The club has grown from strength to strength since 2010 due to the enthusiasm of individual teachers and the receptiveness of students. The school has managed to increase the popularity of product design and engineering and has seen 35% of its students go on to study a STEM related subject at university. Rudston Primary School has engaged in many creative, whole-school projects and have a developing history of STEM projects. This year, Rudston considered physics with a space-based topic focusing on Women in STEM. The project started with a crashed satellite in the centre of its outdoor reading area which was ‘discovered’ by pupils and staff. Children developed investigative enquiry skills, drew conclusions and worked with Liverpool John Moores University to inspire investigations. Phenomenal work from all entrants. The quality of projects was unbelievably high and all were inspirational! The Educate Awards is an annual awards ceremony celebrating education within the Liverpool City Region, Lancashire and Cheshire. Now in its seventh year, the awards have grown due to the volume of entries and increased demand from schools to take part. The STEM Project of the Year Award recognises schools that have developed a STEM based project during the academic year of 2017-18 providing an opportunity to develop an innovative and effective approach to encouraging pupils to engage with science, technology, engineering or maths. It can be a project that has a focus on one element of STEM or can be a project that covers all four areas. 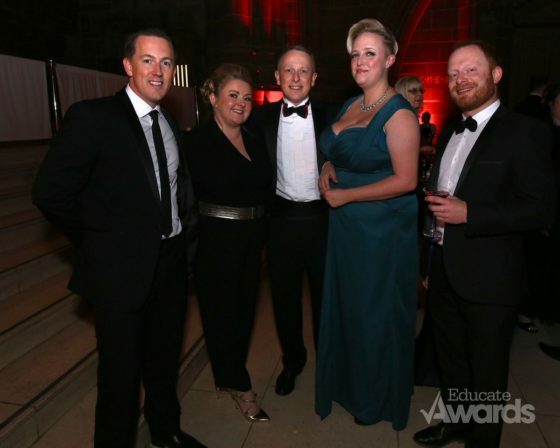 The Educate Awards offers accolades ranging from Teacher of the Year to Star Support Staff and SEND Provision, an amazing night for regional schools to come together and celebrate their achievements.